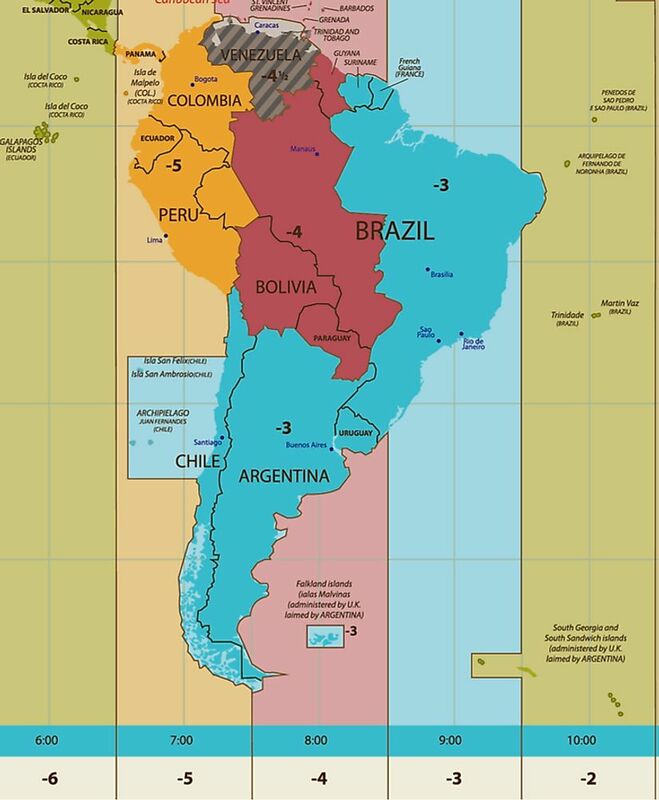 A map showing the five time zones that are observed in South America. They include UTC -5, which is observed in Colombia, Ecuador, and Peru, UTC -4, which covers Guyana, Bolivia, Paraguay, and parts of Brazil, and UTC -3, which is used in Chile, Argentina, Uruguay, Suriname, French Guiana, and eastern Brazil. Venezuela has its own time zone that is half an hour off from the rest of the continent, called UTC -4.30. UTC -2 is only used in the South Georgia and the South Sandwich Islands.